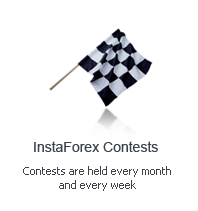 To ease account handling, InstaForex offers a special InstaForex Benecard card. It is a debit card enabling its holder to deposit or withdraw funds from a trading account instantly. InstaForex Benecard owners can get cash at ATMs all over the globe, pay for goods and services online, and make POS transactions in a card´s currency without any commissions. Payment methods include wire transfer and electronic payment systems. The card can be ordered in Client Cabinet on the InstaForex website. The card issue costs $34.95 for a USD account or €29 for a euro account. Payment should be made only after verification. InstaForex Benecard card is a universal payment instrument with functions of a usual bank card. Make purchases and pay for goods and services all over the world with InstaForex Benecard card.